All figures are generated from Mint.com. It's good to see an $8,000 monthly gain. I'm getting really close to reaching escape velocity. The only account that appears to have gone down is my house. The value fell from $131,000 to $129,000. The two month home value has fallen about $7,000 from $136,000 to $129,000. The job front is still a bit shaky, but I'm holding on. It does feel good to have enough FU money not to worry about things. Many others are continuing to sweat their asses off worrying. In fact, we closed one department about three weeks ago and laid off 8 workers. Crazy times indeed! There is no down time when building a path that doesn't lead back to ZERO! 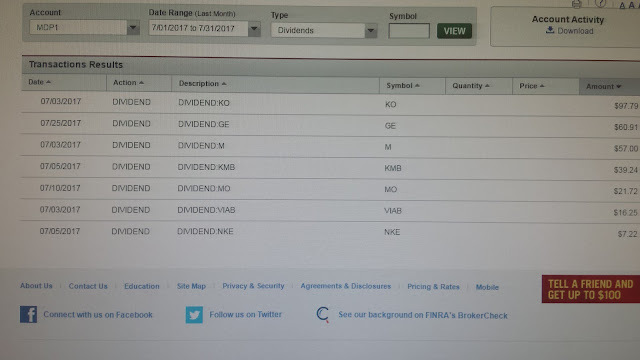 Here are the dividends received in my taxable account last month. 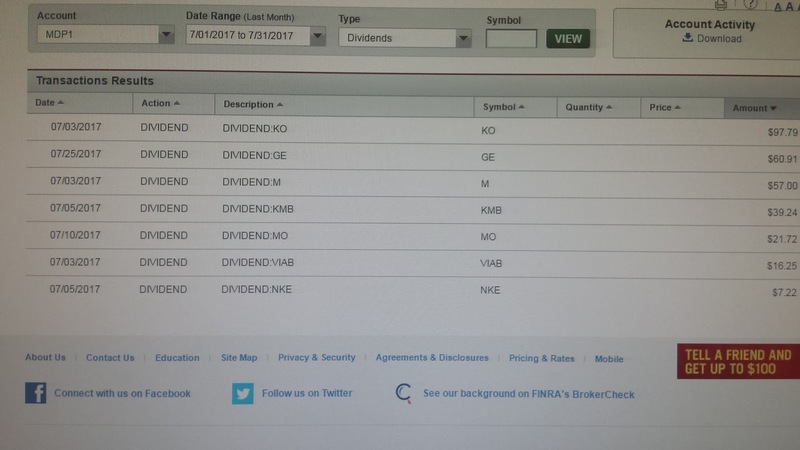 Despite selling all my stocks in the middle of June, I had a few that had already went ex-dividend. Not too shabby. I'm sitting on a pile of cash while the work situation becomes more clear. So far I have survived a ton of management changes and continue to do well. I'll probably wait a few more months and at that point I will most likely be totally FI just living off the cash saved. Knowing me I most likely will start investing again!